Sunny destination cities continue to be most popular with active adults and retirees. 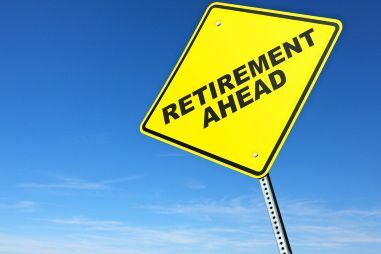 Choosing a retirement destination can be difficult. Do you want to live in an urban area or in a more rural suburb? Do you want to live by a beach? In the desert? With mountain vistas or with the rolling hills of lush vineyards? Across the country there are fabulous locations which support a wide range of active retirements. Here are 10 popular destinations to consider. If you're Florida-bound, The Villages is a unique destination that is both an age-restricted community and a fully formed city which spans three counties and 20,000 acres. The Villages opened in 1978 and is now estimated to have 75,000 homes, as well as an unparalleled line-up of amenities. There are dozens of recreation centers and golf courses, over 50 swimming pools, over 60 restaurants and over 200 retail centers. The Villages even contains its own hospital, movie theaters, equestrian facilities and much, much more. With over 26,000 homes, Sun City has also grown to become its own self-contained community. Sun City also has the distinction of being the first modern active adult community, being built in 1960 by Del Webb. This age-restricted development welcomes residents aged 55 or better with seven recreation centers, 11 golf courses, 19 shopping areas, 30 worship centers and a wide range of social amenities and outdoor recreations. South Carolina's City of Bluffton enjoys a fabulous location just 13 miles west of the world famous Hilton Head Island resort area. Active adults who settle in Bluffton have easy access to beaches, restaurants, diverse shops and exciting attractions. Local communities feature both charming neighborhoods and sprawling resort-style developments. At Sun City Hilton Head, residents enjoy impressive recreational options including a 45-acre Town Center and Amenity Complex, and 36 holes of championship golf. 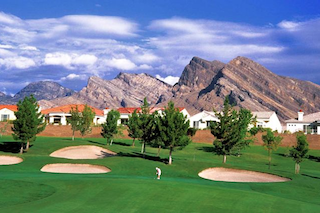 Las Vegas is a fabulous destination for retirement with amazing communities such as Sun City Summerlin. Active adult communities in the Las Vegas area provide a quiet desert retreat while also making it easy for residents to visit shops, restaurants and performance venues along the glittering Las Vegas Strip. Of course, large communities like Sun City Summerlin and Sun City Anthem also have plenty of their own on-site appeal, including amenity-rich clubhouses, challenging golf courses, diverse hobby and game rooms and various outdoor recreations. There are many fabulous age-restricted communities in Florida's beautiful Ocala area, including the renowned On Top of the World. This impressive community opened in 1982 and is still under development today. Upon completion, On Top of the World is estimated to offer 10,000 homes divided across several distinct neighborhoods. Resort-style amenities are spread across multiple recreation centers and throughout the community's beautiful grounds. As a self-contained village, just 25 miles from Tampa, Sun City Center provides everything needed to support an active adult lifestyle. The community features resort-style amenities including luxurious clubhouses and recreation-rich grounds. It also includes retail centers, grocery stores, local services, worship centers and a hospital. Several neighborhoods within the community each offer a diverse mix of homes to meet the needs of many active adult retirees. Set in Northern California, the City of Lincoln is just 30 miles northeast of Sacramento and within two hours of destinations like Napa Valley, Lake Tahoe and the Bay Area. The area is also home to Sun City Lincoln Hills, the largest active adult community in the state. This impressive development welcomes residents with 6,783 diverse homes, two amenity-rich clubhouses, two 18-hole golf courses and many additional recreations. The Fort Mill area provides a tranquil retreat amid the hills and forests of Northwestern South Carolina. It is also within 30 minutes of the numerous urban attractions in nearby Charlotte, North Carolina. Active adults who settle in the area may find their dream destination at Sun City Carolina Lakes, which provides a selection of thoughtfully-designed homes, many resort-style recreations and over 120 social clubs and special-interest groups. In recent years, Texas has become a retirement hot spot with sunny weather, mild winters and impressive active adult communities. In the Dallas/Ft. Worth area, Robson Ranch offers country club living with fabulous resort-style amenities. Highlights include the 18-hole Wildhorse Golf Club, fitness facilities and active recreations at The Sports Club, a 400-seat ballroom for community events and specialty studios at the Creative Arts and Technology Center. In the heart of the beautiful Coachella Valley, Palm Desert has long been a popular retreat for active adult retirees. The area averages 350 days of sunshine each year, helping it to become a well-known tourist destination with diverse shops, restaurants, golf courses and other entertainment. Sun City Palm Desert epitomizes this luxurious resort lifestyle with world-class amenities spread across three clubhouses and outdoor recreations which include two championship golf courses.